Tonight’s section was a six player swiss. Rating favorite NM Ian Harris was defeated by Alex Eydelman in round two. 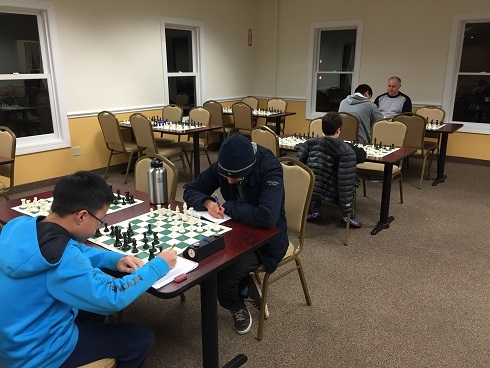 Eydelman and young talent Brandon Wang went on to tie for first place with 2.5/3 each. Thank you everyone for playing and we look forward to seeing you next time!